We had our rounds of doing our chores. Day 2 adventures started out late because of the very low supply of water. Filling up a pail of water takes time. I never knew that April can be cold too. I only have a pair of jeans. It’s a good thing I brought long sleeves and a jacket. What’s the itinerary for Day 2? 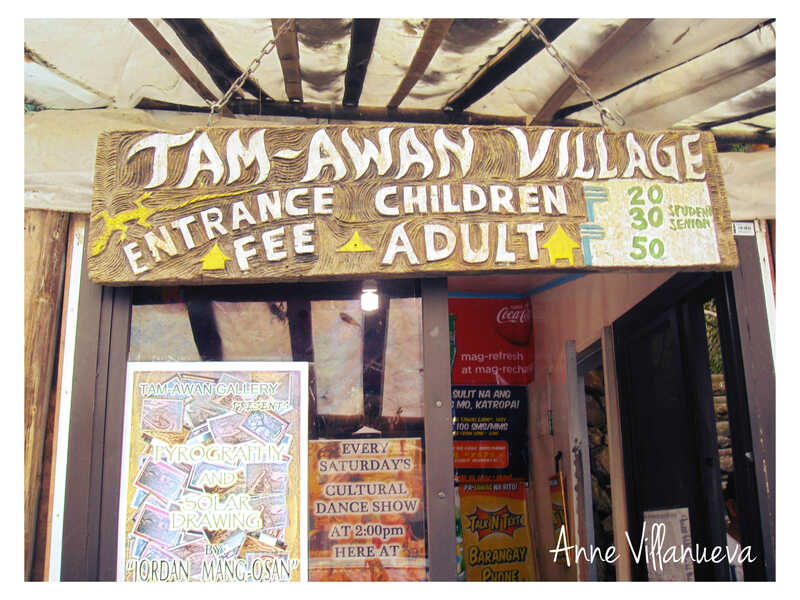 Tam-awan Village is founded by National Artist BenCab to promote the local art and culture of Baguio (Source: Our Awesome Planet). How about a groupie before going in? The entrance and the list of entrance fees. The village can also be rented for functions. Our first activity is going through a trail that leads up, up, up. Up leads to where? To more trees and bushes. Just kidding. 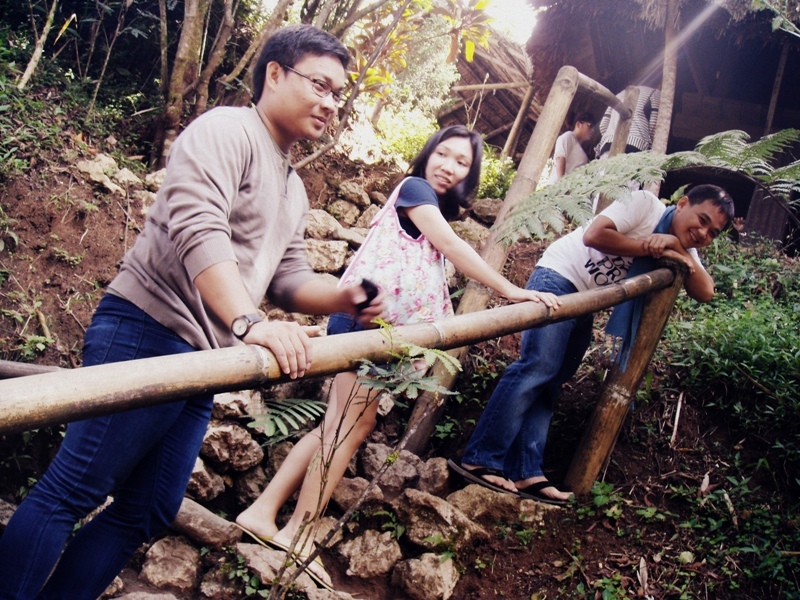 The trail showcases artworks and landscapes that reflects Ifugao art particularly. It rained prior to our visit so the trail is a bit slippery. An observation: the higher you go, the steeper the trail. Good thing, some bamboo hand rails are installed for visitors safety. Our genius friends appreciated the ferns growing on the sides of the hill. If you opt not to take the uphill trail, you can still enjoy the visit. A souvenir shop, art galleries and cafes situated at the lower part of the hill. There are Ifugao fertility huts that can be rented if you opt to stay here overnight. I would like to have that experience given the chance. Beware of the fertility statues: they are believed to help you conceive when touched. According to a source, there is always an art exhibit going on in the village. One attraction that brings interest to our group is the group of sketch artists. 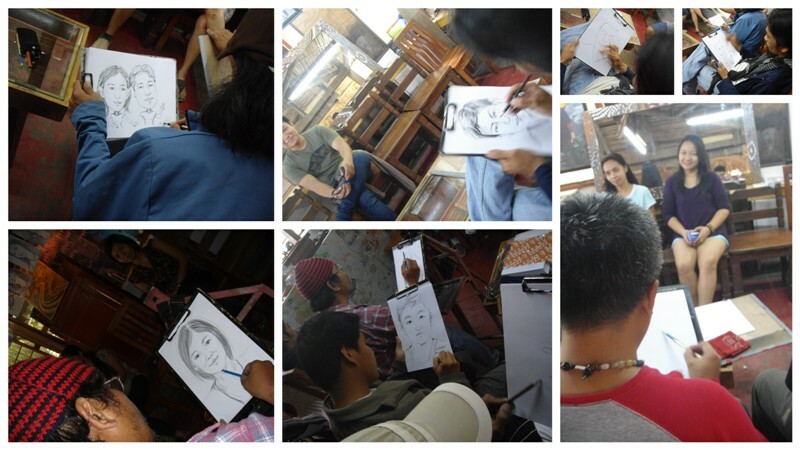 A portrait cost PhP100.00 and usually takes 10-15 minutes to complete. 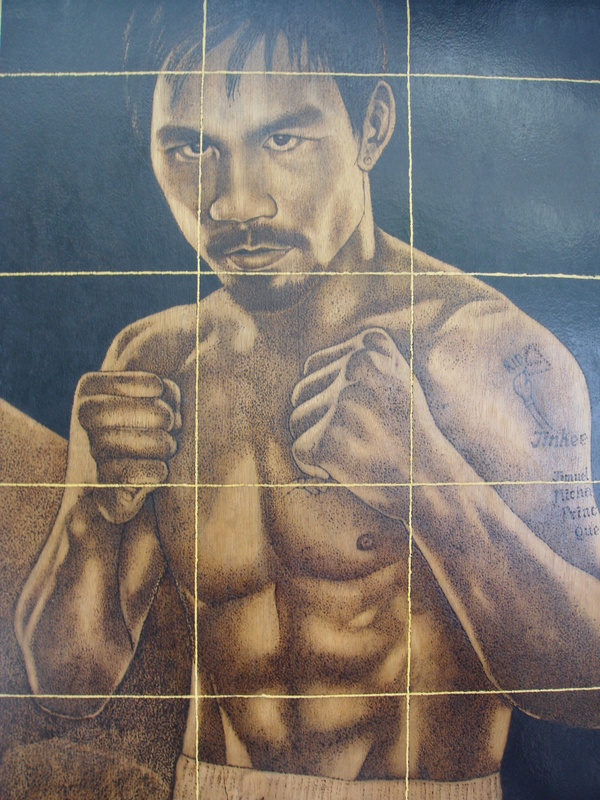 A large portrait of Manny Pacquio is exhibited in the village. This masterpiece is a Solar Drawing by Jordan Mang-osan. It’s drawn using the sun and a magnifying lens. Amazing! 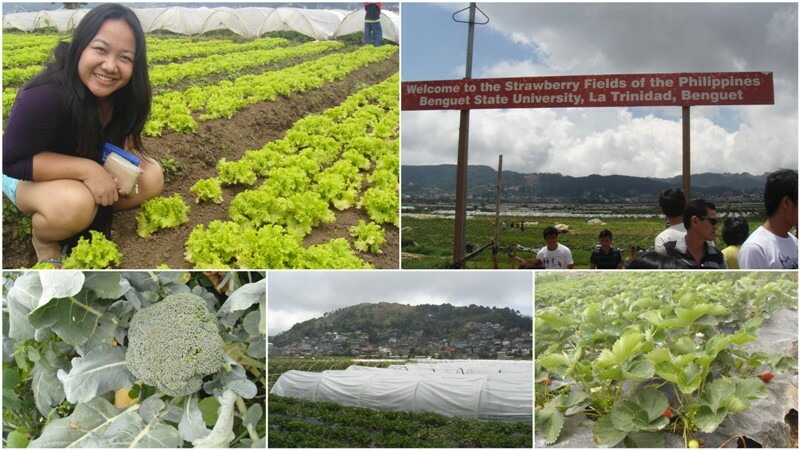 Situated 30 minutes from the heart of Baguio, you’ll be able to find the Strawberry Fields to appreciate how these berries are cultured. The strawberry fields reminds me of the tobacco plantation we have back home specially the white canvass that covers the strawberry seedlings and the black canvass that protects the berries from being soiled. Other crops are also planted in the Strawberry fields. There are lettuce, brocolli and some patches of mums and roses. What is the best thing to do here? Strawberry picking! If you want to do that prepare to pay thrice the price of strawberries sold in the market. For our group, goof around and dance in the middle of the field. 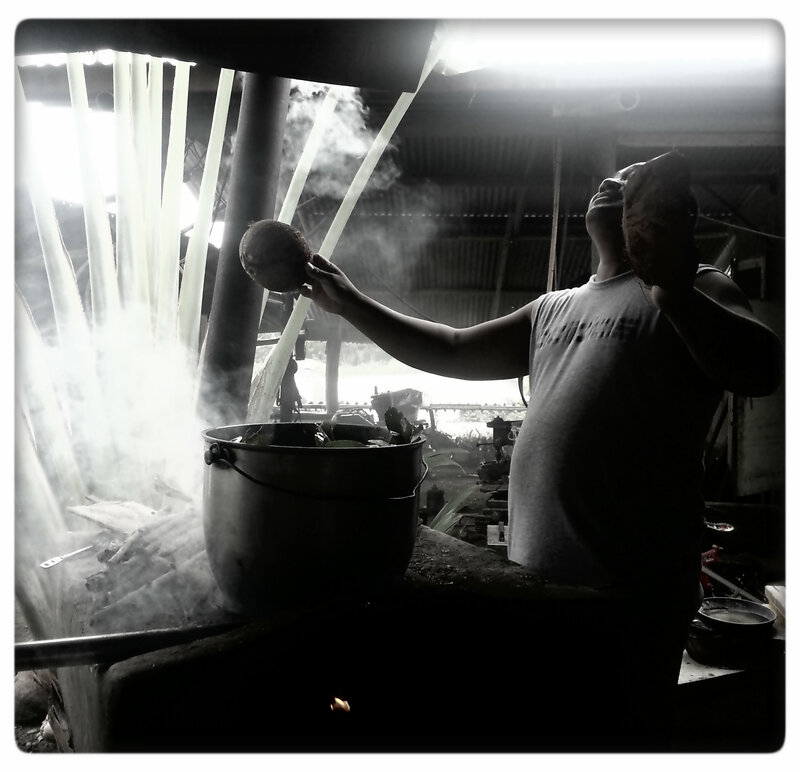 :)And oh, not to mention eat strawberry taho under the heat of the sun! Kimmy loved it so he had to call Manong Taho twice. These are stars erm berries of the day. We made a side trip to meet a friend. The group hiked on the side of the hills (or mountains). Tree Top Adventures was closed for the holiday so most of the time spent here was simply chatting and sharing jokes. 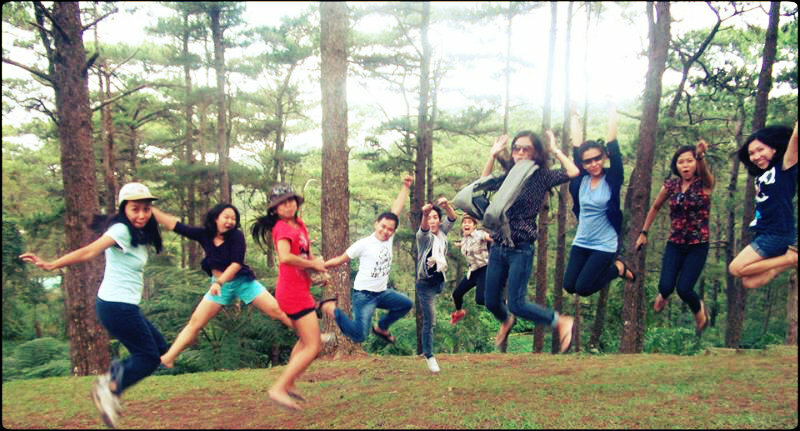 We also made a sequel of our Annual Jumpshot. 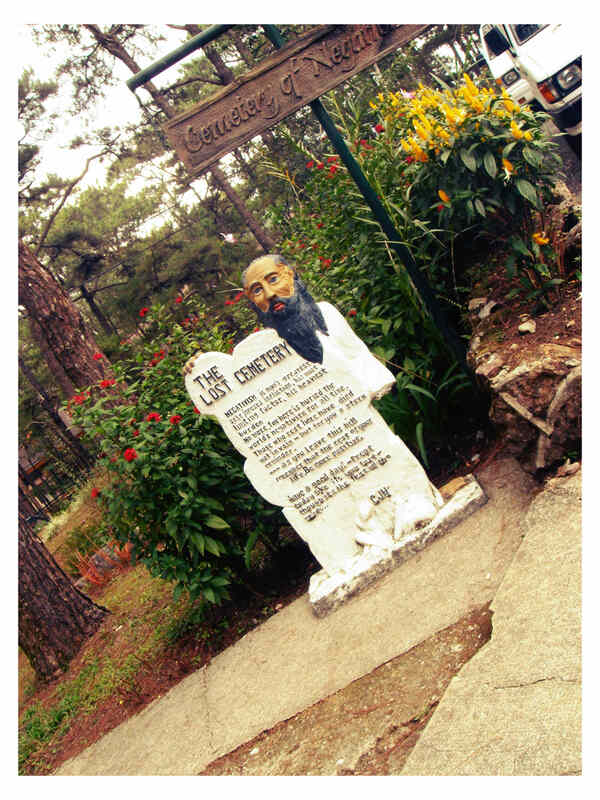 Do you know that there is a cemetery in Camp John Hay? It’s called The Lost Cemetery or the Cemetery of Negativism. 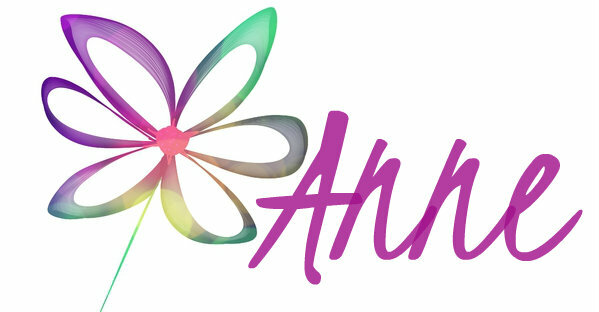 So, if you’re carrying a negative vibe(s) that weighs you down; you can bury it here. There’s also a butterfly sanctuary that you can check out. It is situated near the CAP Convention Center. Leaving Camp John Hay, I have noticed some factory outlets of apparels. Maybe these shops are also worth visiting. The journey continues to Mine’s View. This time buying pasalubong is taken more seriously. 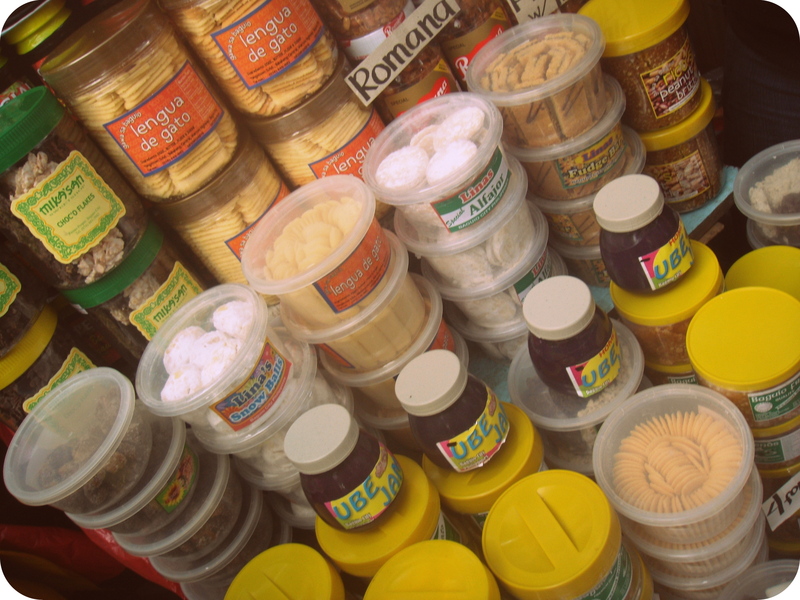 Peanut Brittle, Lengua de Gato, t-shirts, keychains you can get it here. Ate Abby just gave us a tip that we should save some dough for Good Shepherd items. I bought some bottles of strawberry wine. What is our night activities aside from the usual chats and jokes? One of our group brought a set of Pictionary, another Monopoly Deal. There is also a karaoke set in the house which we are allowed to use. It’s free for all but since it’s Holy Friday, we opt to sing mellow as a respect to the neighborhood’s observance of the Holy Week. Yeah, I know. We need some external clean-up too. What could have possibly caused the crash? Busted OS installer. Since, I could not do anything I parked my poor notebook and shook my head. Could it be possible to revive my notebook by using a rebootable USB drive? I checked out the Bios set-up (ESC for this model) and sighed again on the fact that there is no “Boot from USB option”. I did my research and found this very useful article. (and this). 1. Download .iso version of Windows 7 Home Premium 64 bit . It’s the software that was installed to the unit when I bought it. OS are 3Gbish in size so expect long download time. Well, unless you have a very good internet connection, download time is shorter. In my case, the ETA is 12 hours from torrent. 2. Download and install Windows 7 USB/DVD download tool. This software will turn your bootable USB. 3. Load the .iso image into the USB using the software downloaded on step 2. Once done, click “Begin Again” then safely remove your USB device. Note: the software will reformat your USB device first prior to loading. Now we’re ready to clean install. At this point, make sure that your unit is plugged on a power outlet. 4. Plug the bootable device to your notebook before pressing the power-on button. Then press ESC button several times to enter the Bios set-up. Options to boot from will pop on your screen that includes the “Boot from USB” in addition to the “Boot from drive” and “Boot from CD/DVD”. The option automatically and only pops out if your system recognizes a USB device upon star-up. 6. Wait for the installation to complete. This process involves several reboots. After a successful installation, the system will ask you to name your PC and to set a password. A few more click on the NEXT and OK button then we’re ready for the last step. 9. Final step is installing drivers. You can use the CD that comes with your notebook or download it from the internet. Now you can install other software you desire. I’m never a fan of IE ’cause I found it slow. I downloaded Google Chrome instead. Thinking of self-studying CAD so I put DraftSight on the to-install software. Some image processing tools, word processing software, Windows movie maker, VLC Player and other codec package, Skype and Microsoft Security Essentials. I think we’re good to go. Disclaimer: I am not a pro in doing this stuff. I am just sharing what I have learned today. 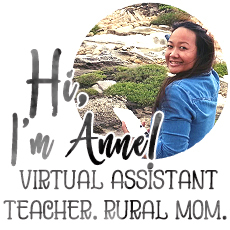 You may check the links that I have pasted on this post for more info. Mommies, this knowledge will also be useful for us. 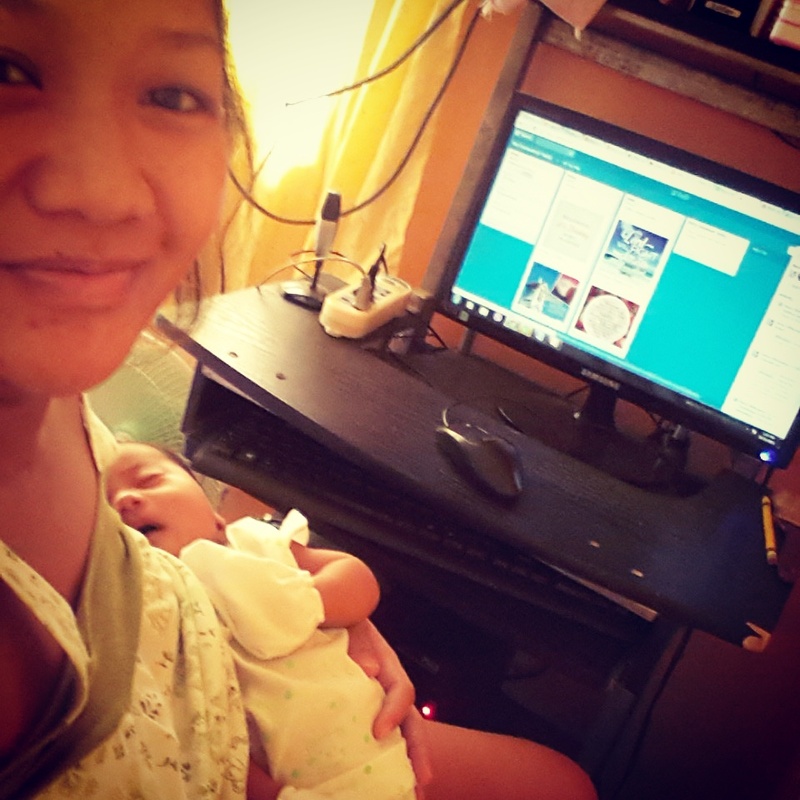 We can always run to our trusted PC technician for this kind of problems but imagine how your kids will be amazed knowing that mommy is also an in-house IT personnel. Last words, always go for Genuine softwares. It will save you from a lot of trouble. By the time of writing, my Baby Lalabs is already 28 weeks and 2 days old. In less than 3 months, Pipi and I will be able to hug and kiss her. (EDD: October 2) Yes, Baby Lalabs is a girl! That means, she will no longer be called EK but SOPHIE ELISE or PIE. Pipi thinks that SOPHIE sounds cute kahit na makulit. So girly. Upon our research, Sophie is the cuter version of Sophia the goddess of wisdom. One of my favorite Lola is named Sophia. 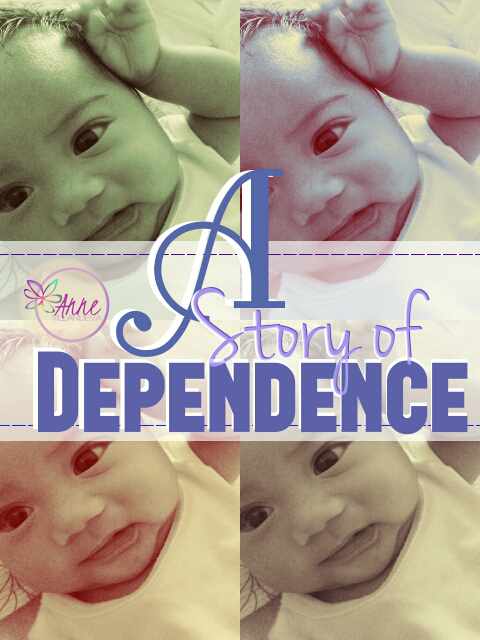 The second name ELISE is after the name of Nanay Elisa which literally means God is my oath. Jason Mraz sings “our name is our virtue” so the name should be a good one. I can’t explain how thrilled Pipi is when he confirmed that Baby is a girl. Though even before he already had an inkling that it will be a female. Pregnancy and motherhood is such a wonderful experience. It’s already mid July and I haven’t written a single entry for June. Aha, June my birth month! A month when my girlfriends and I are celebrating our friendship anniversary and a month to honor our fathers. Blame it to the preggy hormones. They’ve been giving me emotional ups and downs, thereby un-inspiring me to write. I am also adjusting to my family’s schedule since Tatay’s baby girl is now back to school. A private tutor is a new addition to my already long list of roles at home. It was a joy to see Thalia progress on her learning. She now recognizes letters and numbers from 1-10! This is the last birthday that I’ll be single, the last one that I’ll be blowing my birthday cake alone. Ala akong handa but I enjoyed the day reading well-wishes and reflecting on the year that was. I think I have already received the most wonderful gift. I am happy to see my father in the church again after a very long time. I was prayed for during the Sunday service. Our pastor said, someone who appreciates life can’t help but cry on her birthday. I think I agree with that. I am still alive. There’s a living human inside me (sounds creepy, though). 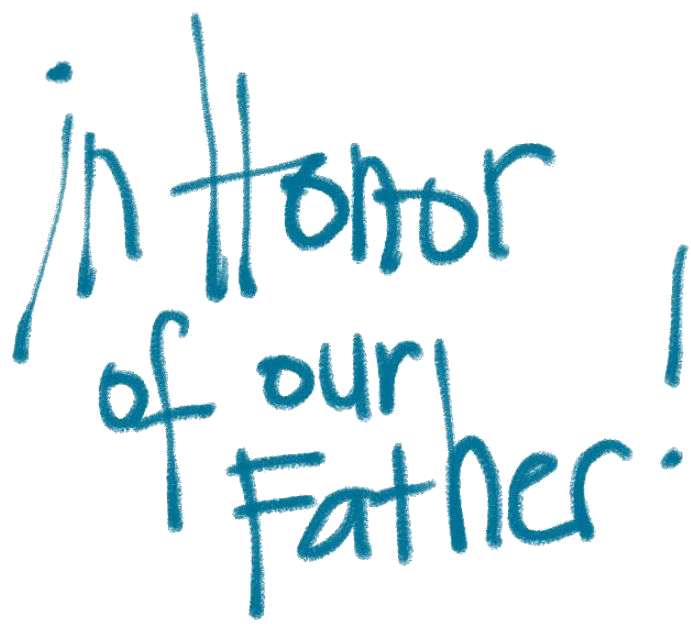 Our relationship with our fathers directly affects the way we relate with God. My younger brother and I were reminiscing the days when our father used to tell us bible stories before bed time. Kim’s favorite memory is the time when Tatay thought him how to pray. Ang laki talaga ng impact ng childhood memories sa nagiging pananaw natin sa buhay pagtanda natin. So, itay maraming salamat sa lahat ng pgsasakripisyo ninyo para sa amin. For staying up late to finish your projects for us to have food on our table every meal. We pray that God will bless you with longer life for you and nanay to enjoy the fruits of your labor. Much love. 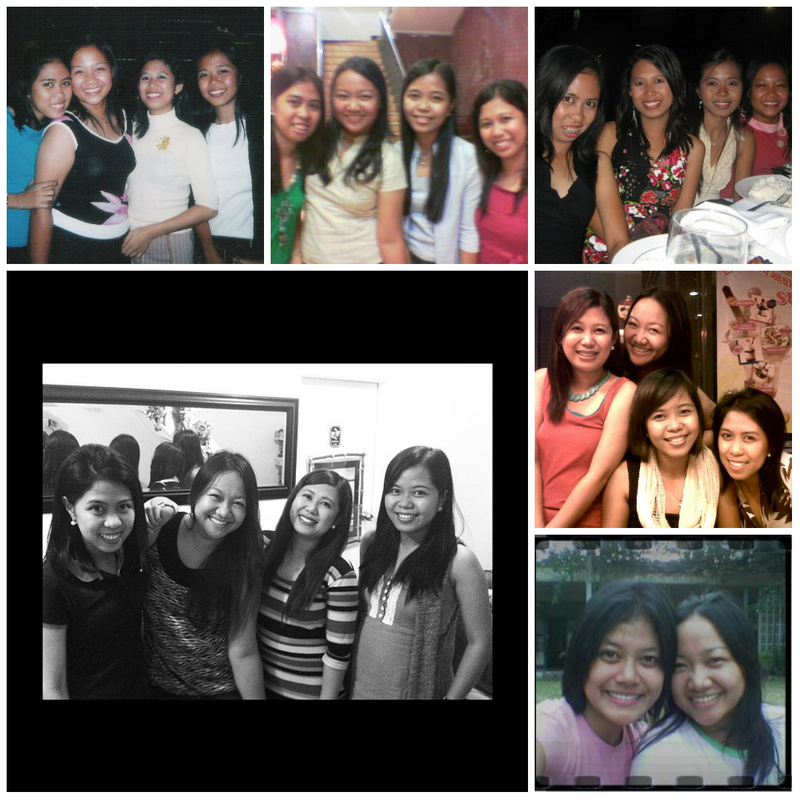 This year also marks the 10th year of friendship with these wonderful ladies. We started out as dormates, then orgmates, then bestfriends. Some are already married and expecting babies, finished masters, passed board exams and are now managers. these are the ladies who will unselfishly go out of there way just to be with you. to cry with you, laugh with you, pray with you. And the best part, they are not afraid to tell you what you needed to hear. My life story will never be complete without you. Cheers to more years of friendship. 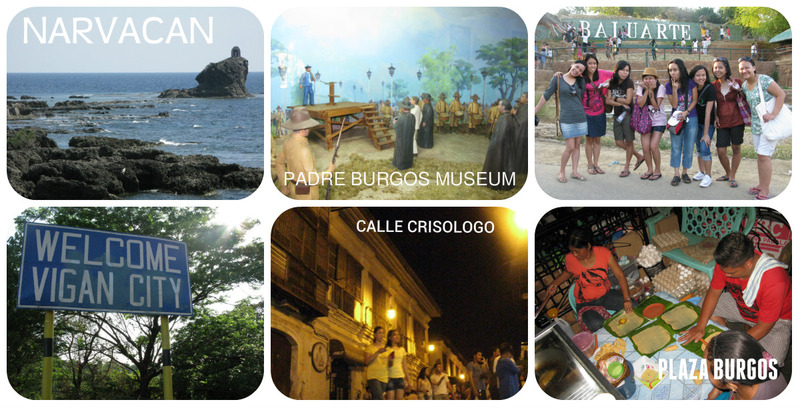 How Much Does It Cost to Explore Ilocos? Traveling in group is fun. It’s noisier, there will be more stories to hear. And yes, noisier! If traveling in group and if the destination is reachable by land, it would be more convenient to rent a car. Considering that our trip is scheduled on a holy week, imagine the inconvenience that we have to deal with finding seats for 10 people. Also, commuting to the different tourist attractions will be painful. Well, an exemption if you are willing to ride a tricycle and have a race with bigger vehicles along the highway. Buwahahahah! 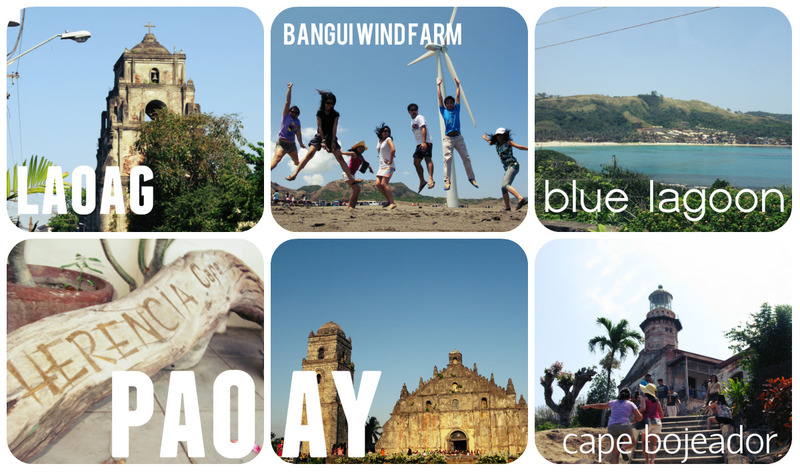 Planning a trip to Ilocos in a group? Hope this post will help you weigh these questions: to commute or not to commute? Day 1: Let the Travel Begin! 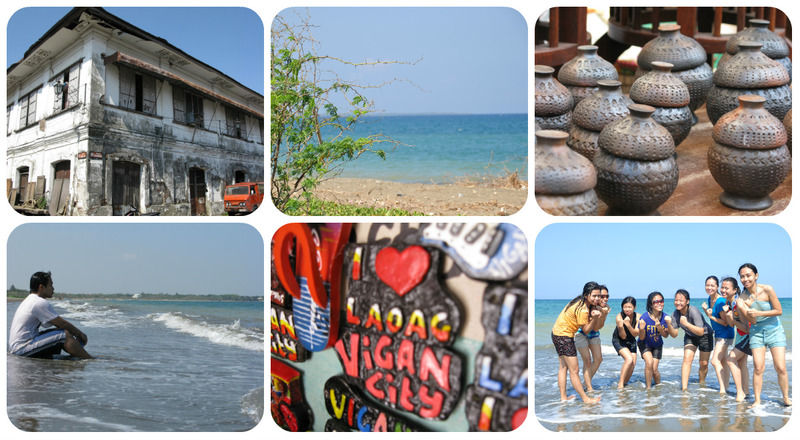 Day 2 : Explore Ilocos Norte. 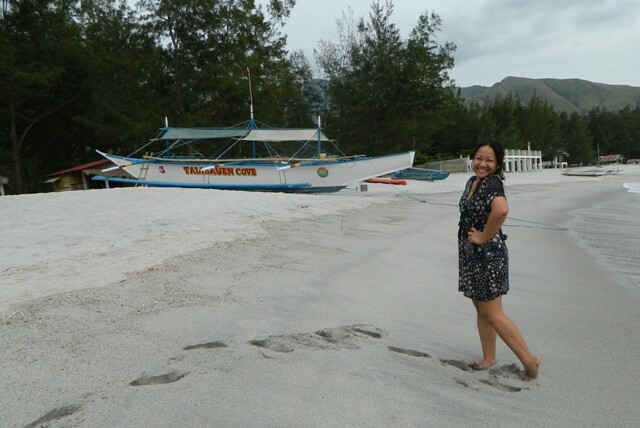 Day 3 – Tara na sa Beach! 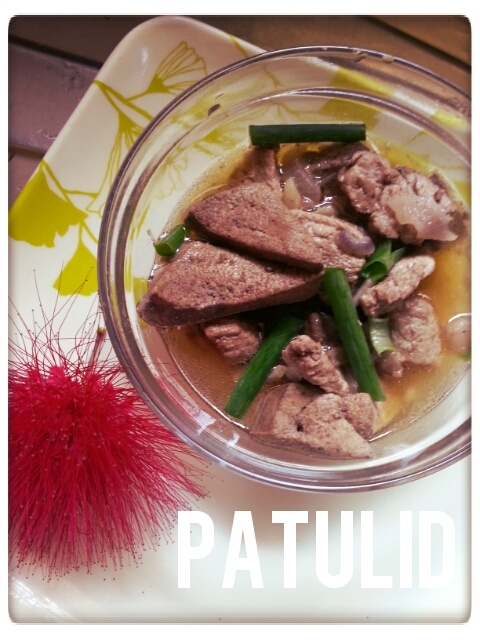 Our relatives in Ilocos Sur blessed us with meals and welcomed us to their home. That’s a big slash from the expenses. Thank you, Dr. Sean and Joy! 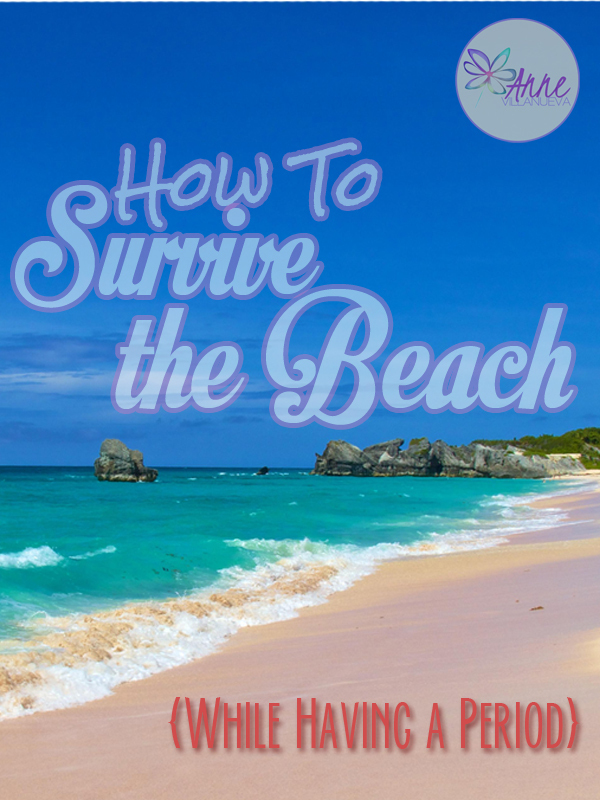 It’s time to go to the beach-each-each. Our group together with our host took us to San Isidro Beach, San Juan, Ilocos Sur to cool off a bit before we hit the road again. After the lunch at the beach, the group then went back to Vigan to purchase pasalubongs – chichacorn, bagnet, Vigan longganisa we sourced from the wet market. We also passed by Marshia’s to take a bite of the famous royal bibingka and pudding. Some notes on the transportation arrangement: gas, meals, toll fees and accommodation for the driver is separate from the van rental. At the end of the trip, we made a deal with the driver to drop us near our respective homes and he agreed. That explains the additional gas refill for Day 3. Each individual had contributed PhP3,000.00. That does not include the additional chi-cha, water, and other personal effects. I could say that this trip is worth all the peso spent. A big thanks to our sponsors during the trip.